I was reading this article which came out today..
China's J-10 Fighter Now Has Something In Common with the F-22, Su-57 and Su-35 which reports China has added advanced thrust vectoring to their J-10 fighter plane. This is an innovation which dramatically increases the maneuverability of fighter aircraft. This made me remember a controversy surrounding the Chinese J-10 which was introduced twelve years ago in 2006. 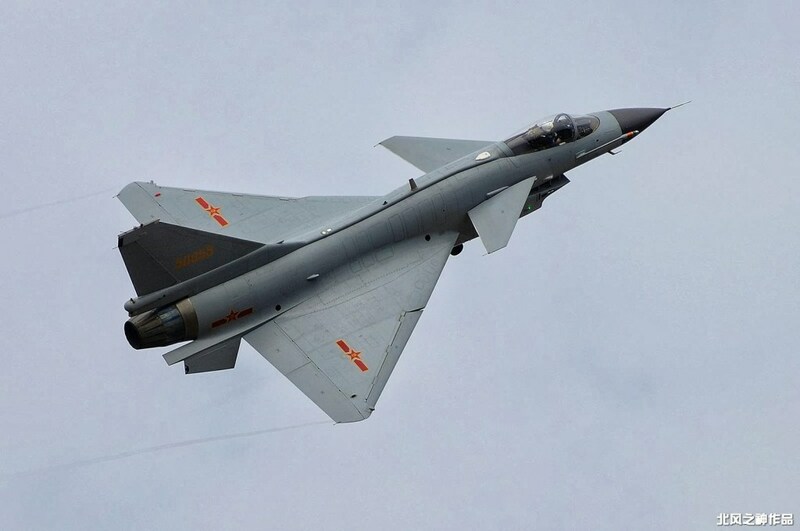 China's J-10 fighter(above) looks a lot like the Israeli Lavi Fighter(be low) which was cancelled in 1987. Over 90% of the development cost of the Israeli Lavi were funded by the United States. There have been credible reports that China significantly leaned on the Israeli Lavi when developing the J-10. Even that Israel sold the plans for their canceled Lavi fighter to China. Russian aerospace engineers have confirmed to Jane's that China's Chengdu J-10 fighter aircraft benefited from significant, direct input from Israel's Lavi programme - including access to the Israel Aircraft Industries (IAI) Lavi aircraft itself. In a number of interviews Jane's has talked at length with several engineers, designers and technical specialists - some of whom have been working with their Chinese counterparts for decades and have had first-hand experience on Chinese military projects. They have provided detailed accounts of the assistance given to various Chinese manufacturers and their military aircraft projects. This has included extensive design and performance modeling, wind-tunnel testing and advanced aerodynamic design input. Israel's Lavi fighter-bomber was designed to be one of the deadliest weapons in the air. However, it now has been revealed that after Israel discontinued the largely U.S.-funded project, it sold China the plans for the Lavi and the associated secret U.S. technology. 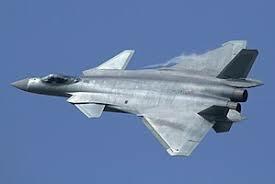 This has enabled the Chinese to build their own version of this new generation of fighter aircraft. The J 10 started off as a Chinese attempt at reverse engineering a Pakistan bought US F-16. However it ended up being a modification of Israel’s Lavi multi role fighter, Lavi program was cancelled in 1987 in Israel due to threatening from US. China purchased the blue print from Israel and developed J 10. As troubling is that the J-10 plans were modified into a duel engine design the J-20 which is China's stealth fighter variant. Now a counter argument states, the J-10 wasn't based upon the Israeli effort from the mid 1980's but a non production Chinese design from the 1960's, the J-9. So which is it? Did the United States taxpayer pay to develop a plane which has become a backbone of the Chinese Air force? The J 10 is one of the Chinese backbone Fighter jet to perform defensive mission inside Chinese Air-space. The Chinese Air force operates more than 250 J 10 variants which comprises more than twelve squadron of Fighter’s with 70% of service availability at any given time. At first I read the question as "did Chinese spies steal" information to be used in their fighter jet. But I guess the taxpayer angle (which might be 'paying for it' in yet other ways) distracts from the issue: is the plane really that similar? Did Israel really sell knowhow? The "Russians confirmed" angle is quite a curious twist to confirm or deny this "allegation". It seems quite implausible to rely on this kind of hearsay and rumour mongering if there are much better sources out there. Footnote 4. Buzzy Gordon, "China-Israel Business Ties Deepen," Jerusalem Post, July 26, 2000. If Israeli sources report this kind of deal for years, I do not see that much reason to doubt that some of the technology, knowhow or concepts, data were used by the Chinese to develop that plane. What these deals or cooperations included is of course another matter. It pretty much looks like the Americans getting wind of that deal and realising the outcome, not liking it, pressuring Israel to not do that again. And Chinese, Israeli and Russian Wikipedia just matter of factly mentioning this connection on the side: all being spot on on this general level (technology was sold, no specifics.). It is an old trope "Chinese are copycats, unable to develop nothing by themselves"
In history of military aviation everybody was copying successful ideas from everybody. It all started with Synchronized machine gun, maybe even before that. It is no secret Chinese were behind Americans and Soviets in aviation technology. They were looking to catch-up in all possible ways. Chinese certainly had theoretical knowledge what is canard , what advantages and disadvantages it gives, and they had examples of this technology in fighters that already used it. So, when they decided to build fighter with canards, they were certainly copying general idea but not concrete technologies. As for US taxpayer funding Chinese military, this is true, but in a different way. Americans buy Chinese goods, part of that money certainly goes to PLA. It is also trough that relatively cheap Chinese goods improve quality of life of average American, because similar US built goods are usually much more expensive. Finally, Chinese workers fund US military, because companies selling Chinese products to US had to pay taxes. Not the answer you're looking for? Browse other questions tagged united-states china aircraft or ask your own question. Why did the United States not seriously develop Anti Aircraft Missiles? Can you identify the plane in the picture? Why did the United States not invade North Vietnam?